Our City Forest, a nonprofit that plants trees in needed areas, is asking for donations to help replace nearly two dozen recently planted trees in San Jose that were chopped down last week in an act of vandalism. The nonprofit now wants to replant the trees and is asking for help. Those who wish to donate can visit the Our City Forest website or call 408-99-TREES. 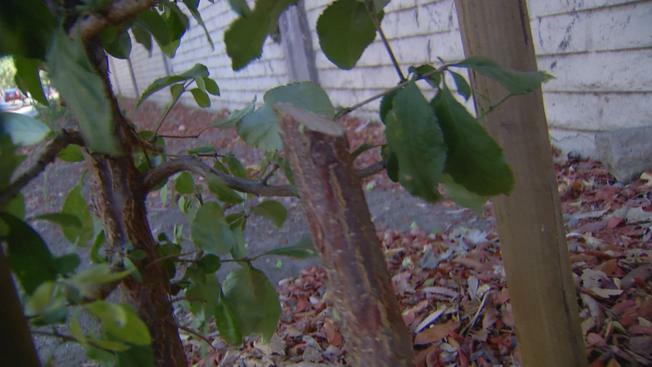 Volunteers on Saturday discovered 23 vandalized trees on Meridian Avenue just south of Dry Creek Road in San Jose. The care of the trees is funded by the city of San Jose as well as federal money. The 23 10-foot trees were planted just last year by volunteers and members of the community. They were a mix of Chinese Fringe and Yew, cost about $100 each. The effort put into planting and maintaining the trees was worth much more than the monetary cost, the nonprofit said. Officials are reaching out to neighbors who might have had security cameras rolling when the vandals struck. Our City Forest will have to wait until the area seems safe enough to plant the trees again, which it predicts will not be until after October.